Should Stormtroopers really drink whiskey? If they do, they better use this decanter and glass! If you ask die-hard science-fiction fans who the most iconic bad guys are, then some would be sure to name the stormtroopers. These imperial goons with their white armour and their oversized helmets (not to mention their less than spectacular aim!) are even known to those who've never watched a single Star Wars movie. We don't know for sure whether Stormtroopers do actually drink alcohol, but it's pretty safe to assume that they're only human, after all. When it comes to celebrating a birthday or perhaps a fellow trooper finally hitting the target, one or two bottles from Darth Vader's secret stash are surely the thing Stormtroopers are going to look for. As the enforcers of the will of the Empire, Stormtroopers don't use normal (some would say, boring) glasses and decanters  and so neither should you. 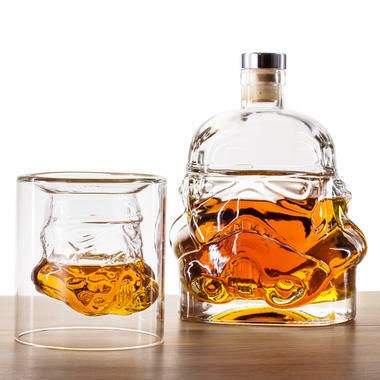 The Stormtrooper Whiskey Decanter is an elegant glass container. You can store and display your finest spirits and the cork will prevent your drinks from losing their taste over time. From our own experience, we can say that whiskey looks truly marvellous, but of course you can fill the helmet up with soda or simple water. A proper fan of the Star Wars universe should only enjoy drinks from a Stormtrooper Whiskey Tumbler. 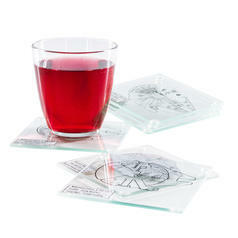 It's a high-quality glass that looks normal to begin with but reveals a cool three-dimensional helmet once filled with liquid. Just don't forget to fill up the empty bottle with cheap booze and put it back into Vader's quarters... or you'll end up on the wrong end of a Force choke! 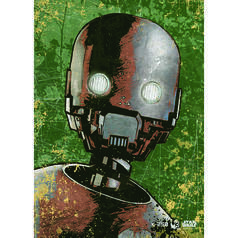 29,95 € lade... Star Wars Rogue One Metal Poster With this metal poster, a clever droid will conquer your living room! 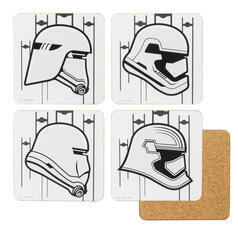 14,95 € lade... Star Wars Stormtrooper Coasters These are the coasters you're looking for.